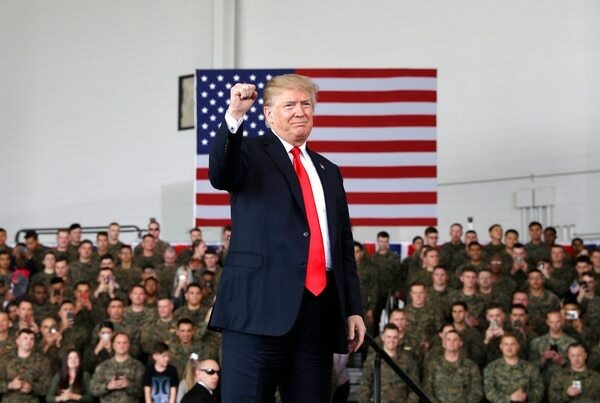 Trump said Tuesday at California’s Marine Corps Air Station Miramar that the nation’s military had been “asked to do more with less” for too long. The president said he remains optimistic about a new U.S. effort to engage with North Korea. Trump said the U.S. is “prepared for anything” but believes “something positive will happen.” Trump has agreed to meet with North Korean leader Kim Jong Un this spring. 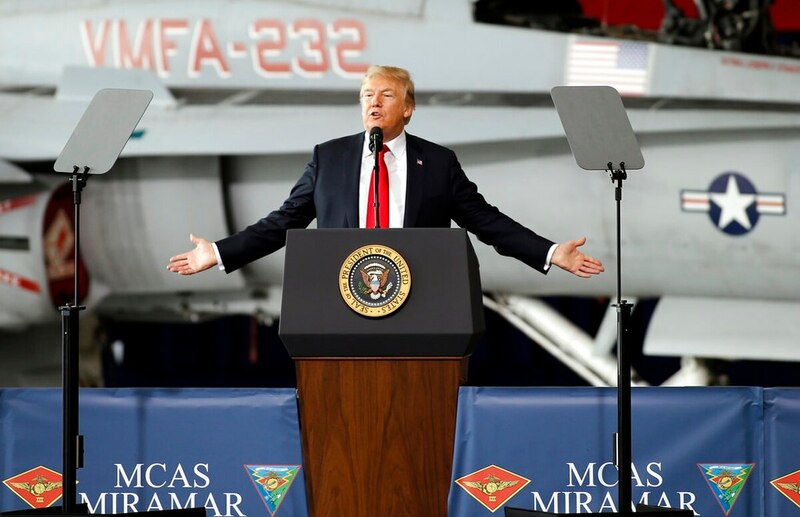 The president said there may someday be a “space force” fighting alongside the Air Force, Army and other branches of the military. He said his idea of a new space force had started as an off-the-cuff comment, but he decided it was a great idea. Trump also said that “very soon we’re going to Mars,” and that that wouldn’t be happening if his 2016 rival, Hillary Clinton, had won. Trump addressed Marines and other service members at an air base in San Diego after visiting his border wall prototypes.